Yoga is fun!! But if you are new to yoga, want to improve your flexibility, or get healthy, Yoga can be a little intimidating. Beginner Series Classes are a great way to start or improve on your practice! You will learn the fundamentals of yoga postures and breathing techniques. 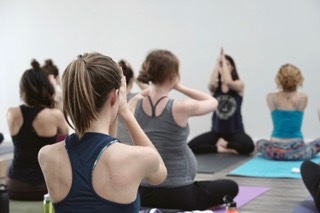 The supportive environment of these classes will provide you with the foundation to develop a safe and fulfilling yoga practice that is great for all fitness levels and goals. Whether you are an athlete looking for additional mobility and flexibility, or someone who wants to get back into shape, Yoga is for every body! Private Group Class with smaller class size! Unlimited access to studio classes for the length of the series!